We are delighted that you have dropped into our webpage. 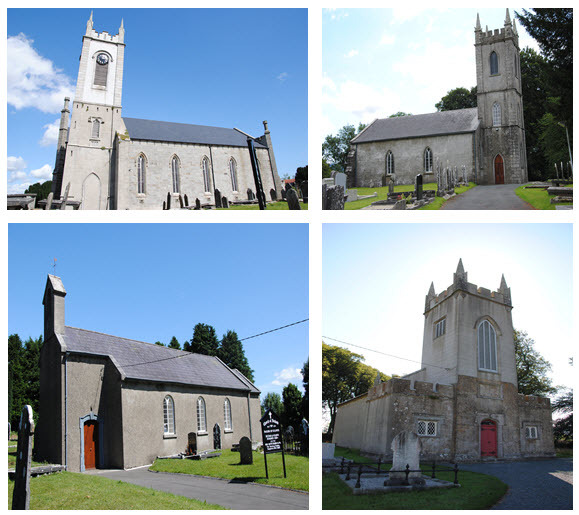 A Church of Ireland parish, Tinahely and Carnew Union of Parishes is comprised of four churches – Kilcommon in Tinahely, All Saints Carnew, St John’s Preban and Kilpipe. The parish nestles in the heart of the Wicklow mountains in the united diocese of Cashel Ferns and Ossory. Whether you are looking at the website for a quick visit or searching for something a little longer lasting, you are very welcome. We offer a range of liturgical services and pastoral care. We aim to be true to the Christian message, relevant to the community in which we live and available to all who seek. I have been Rector here for just over a year and enjoy living in this most beautiful part of rural Wicklow. Although the parish is quite spread out, the churches form one congregation that works together to provide a range of activities and strengths. Feel free to call by and introduce yourselves. We are lucky to have two parish schools – All Saints Carnew and Kilcommon School in Tinahely. In both schools, run under the banner of the Church of Ireland, there is a strong tradition of links with the church and the children enjoy participation in church services on a regular basis. The parish has a tradition of nuturing ecumenical links and we enjoy a good relationship with the other churches in the area. We join with the neighbouring Roman Catholic communities in various ways both liturgically and through community action.